Heeft u een vraag voor Basic Line Hotel at Loikroh? 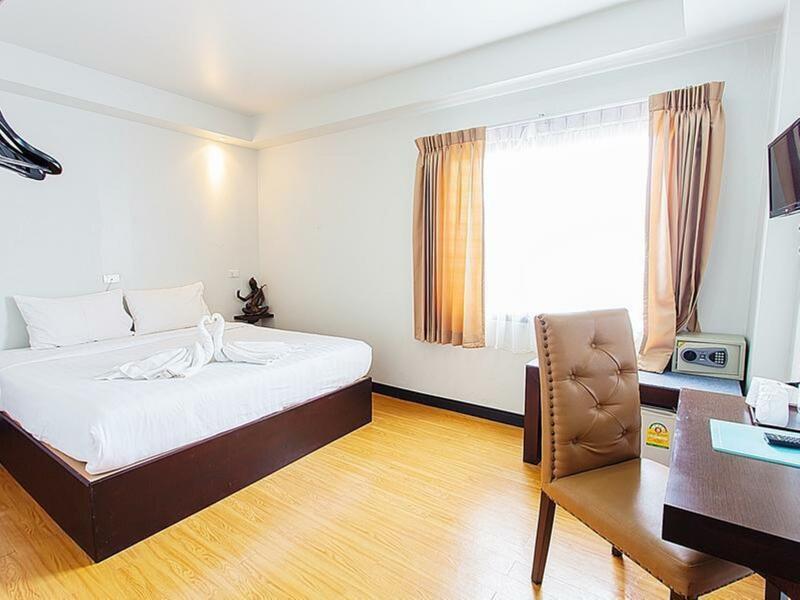 Een kwaliteitsaccommodatie voor wie geïnteresseerd is in winkelen, restaurants, nachtleven: het Basic Line Hotel at Loikroh in Chiang Mai is een prima adres voor zowel zakelijke reizigers als toeristen. Slechts 2 km verwijderd van het stadscentrum, is dit een goede plek voor gasten om te genieten van de attracties en activiteiten in de stad. Dankzij de praktische locatie liggen alle belangrijke trekpleisters in de buurt van het hotel. De faciliteiten en diensten, geboden door het Basic Line Hotel at Loikroh, garanderen een plezierig verblijf voor gasten. Maak in het hotel gebruik van een selectie topklasse faciliteiten, zoals gratis wi-fi in alle kamers, 24-uur receptie, snel in- en uitchecken, bagageopslag, wi-fi in openbare ruimtes. 27 kamers, verspreid over 4 verdiepingen, bieden een warme en plezierige atmosfeer met modern comfort zoals plasma tv, internet (draadloos), draadloos internet (gratis), airconditioning, wekservice. Het hotel biedt geweldige recreatiemogelijkheden die uw verblijf onvergetelijk zullen maken, zoals wellnessfaciliteiten, massage. Met een ideale locatie en bijpassende faciliteiten, is het Basic Line Hotel at Loikroh voor veel gasten precies wat zij zoeken. Reservatie gedaan voor kamer met double bed. Bij aankomst een donkere onfrisse en kamer met 2 single bedden. Melding gedaan en een half uurtje later kunnen verhuizen nr een andere kamer 2 verdiepingen hoger. Enige nadeel in die kamer de motoren die draaien op het dak en geen lift. I didn't go around that much, since it's my third time here, but I would say that location is good, since it is located in walking distance to the tapae gate. The receptionist and employees are very helpful. The room was clean and good for the price, although water pressure wasn't that strong. There is shampoo and bodywash in the room, with two towels. And one more good thing about this place is that even at night you can't really hear too much noise from nearby bars and stuff, since it is situated off the main road. Also, nearby exchange shops have the one of the best rates in town. 가격대비 좋고, 위치는 타패 게이트나 선데이마켓에서 그리 멀지 않습니다. 직원분들도 친절하고, 가성비 좋은 호텔입니다. 숙소 골목에서 나오자마자 양쪽에 환전소 있는데 이 곳들이 제가 본 곳 중에선 제일 좋은 환율로 쳐줍니다. 이름에 Super 들어간 곳으로 가시면 됩니다. Not suitable for family. Very far walking to night bazaar & Tha Pae gate area. A lot of fat cat in the lobby sitting area. Hotel have their own pub. Reception not friendly. Inside room no kettle & no iron board. Stayed here many nights as it is great value in an excellent location for the nightlife and many food options. Staff are always generally very friendly but are not always available. Many times there is no one at reception, which was never the case previously. Can be very frustrating if you want to check in or out or just to get your room key. This issue needs to be adddressed, and can be easily fixed. Maintenance seems to be run at minimum levels and should be improved. 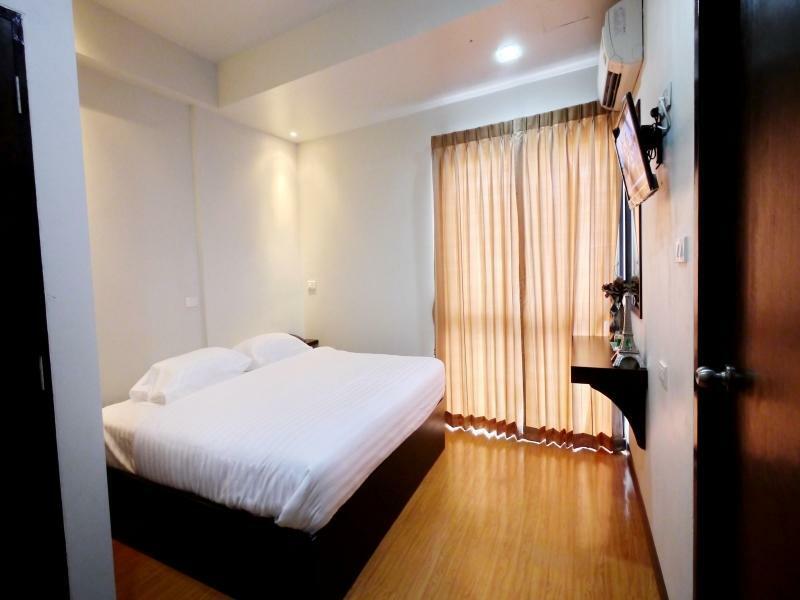 But always my first choice hotel in Chiang Mai for my budget. Rooms on the top floor are best. Clean, simple room. On this occasion I was moved from "sideways" from the basic room with a window to the one without. Same price on Agoda, maybe for this reason. As a place to crash for the night after a good night drinking, perfect. Because of the price (less than 400 baht), I initially booked only for one night, just to try this hotel. I was pleasantly surprised. The quiet location was great. The standard room with a/c was sufficiently big enough, and it was clean. The shower was big with mostly great water pressure. Soap and shampoo and 1 bottle of water was suppplied. Small flatscreen tv with many channels, including some English. The large bed was 2 singles pushed together, but it was acceptable, but doubles are available. The bed was a little hard for me personally, but I'm sure it's ok for most. The staff were all very pleasant but speak almost no English. The bar in the same complex is a quiet establishment with excellent friendly staff and 2 awesome free pool tables. 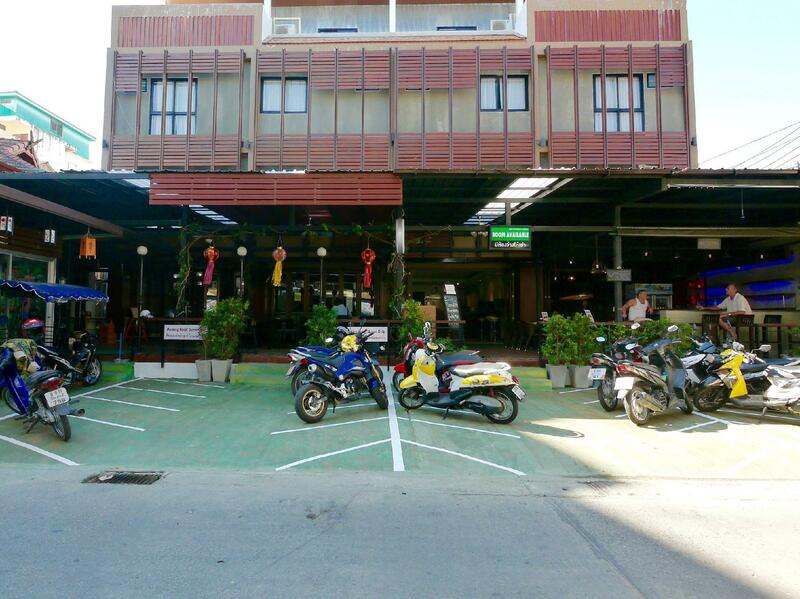 The hotel also has good motorbikes that can be rented from 200 baht a day. My biggest issue was and always is mosquitos. They always seem to follow and attack me. There's also a coin operated laundry. I enjoyed my stay immensely and therefore booked several more nights. I enjoyed my stay here very much. Stayed at a double room on the 2nd floor. Comfortable bed and pillows, flat screen tv, fridge, strong a/c, modern shower and toilet. Room was also cleaned everyday. Very close to the old town and about 10 mins. walk to the Night Bazaar. Staff are friendly and helpful inspite of limited English. There is onsite coin laundry. It is located in a quiet soi off Loikroh so you're not bothered by the noise from the bars. There is a beer bar on the ground floor but it's not noisy. Will stay again. Take note: no elevator and if you're leaving your luggage (unless you return for it later in the day) it costs TH 20/day. Was extremely and pleasantly surprised upon arrival at room standard. Rooms have very comfy beds and new lovely clean bathroom. The Wi-Fi was good . Lots of good tv channels and would deliberately stay there again. A hidden gem. Stayed here multiple times. Sadly this time not the best experience. Check in, slow, no English, girl tired to overcharge because she could not understand how many days I had booked. The room, the worst in this hotel, room 403, very smelly, bed in very tight space, can not get into the bed from either side. The bathroom, location of the bad smell, bathroom flooded when taking a shower, walls dirty, now has soap and shampoo dispensers, nice. Internet, excellent, finally this hotel has a good wifi system installed. Tried to change rooms twice but my request was overlooked because of the language barrier. Would I stay here again? Yes but not in room 403!!! Staff need more training!! And there always needs to be someone at the front desk. Good for a short breaks away from city. 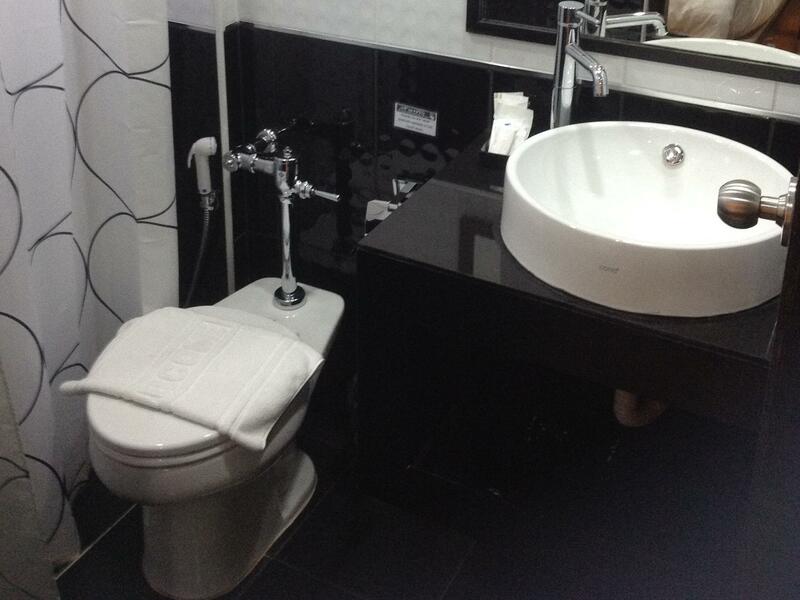 I've stayed at many accommodations in SE Asia in general, and Chiang Mai in particular, and this was awful. I understand it's cheap. But at the least, you would expect the hotel staff to know basic information. Every staff member had NO clue how much anything was, how long driving would take to popular tourist destinations - nothing. Several times, I had to ring the bell for a while, just to get someone to come help me. The desk was usually unattended. When I needed to coordinate a taxi to the airport, the staff refused to call the taxi number I gave him, and only called his friend. Then he told me one price, and after the call, demanded a higher price that was double what he originally quoted. He was trying to make a ridiculous profit. I ended up arranging my own transport. The room was unbelievably filthy with old soap and shaving cream stuck to the walls in the bathroom. The sink was cracked, there were dark brown stains and dirty spots throughout the room and bathroom counter. There was a very bad odor in the room which made my trip miserable..they did not have any other room available....there us a non smoking sign on every floor but the second hand smoke is everywhere and it penetrates into your room...when i complained they sent a spray...which does not make any sense. I think the management should follow up to keep the hotel facilities running smoothly to keep the guests enjoy their stay as pleasant as possible. The hotel is very clean, good job to the cleaner staff. 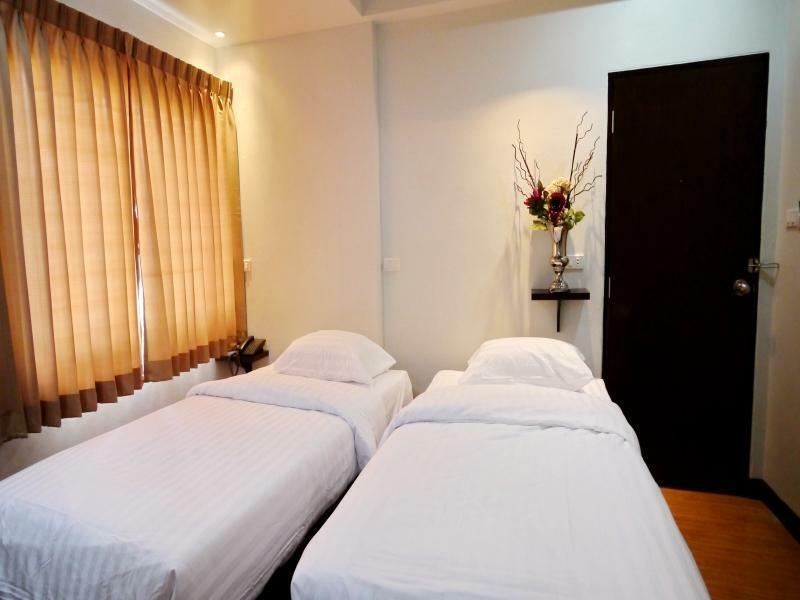 Location is convenient for those who want to go for both sunday and saturday night market. Aircond is working well, bathroom is very clean. Room is spacious for us. Very good and recommended. Cheap, cheap, cheap! You get what you pay for. We booked the Standard Room with Window. The staff were very helpful and nice. Within walking distant to Night Bazaar & Tha Phae Gate. Though not too very close. Many pubs in surrounding, but it's a quiet neighborhood. Have Seven Eleven near by. The only minus points are no elevator and the very hard rock solid bed. Woke up with back pain everyday.